Looking to make some extra money? Do you have a service or a skill that people would be willing to pay for your advice? Online Marketplaces allow buyers and sellers to exchange money for services and are a huge business. Don't think you have anything of value to offer? Some of the most popular Gigs are for promoting websites to facebook and twitter followers. You would be amazed at what some people are doing and getting paid for. So what are you waiting for? 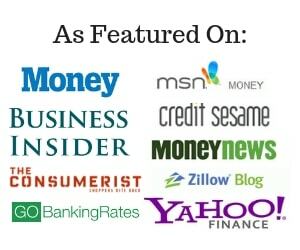 Check out my reviews of the top sites to make money online and get started making some extra cash. fiverr – Site where people buy and sell things for $5. Seller receives 80% of Gig price 48 hours after buyer accepts delivery. The buyer has 48 hours after delivery to request seller to fix problems. PayPal charges 2% of the total withdrawal sum, and up to a maximum of $1 when withdrawing revenues. Withdrawing $50 or more in one go will save you a little cash. There is a 14 day safety clearance period before funds are available for withdrawal. Gigbucks – Gigs range from $5 to $25. Seller receives 82% of Gig price 24 hours after delivery. Buyer has 24 hours after delivery to request fixes. Funds are available for withdrawal 10 days after they are deposited in your account. There is a 2% fee of the total withdraw sum. justafive – $5, $10, $20 Gigs Seller receives 80% of Gig price 48 hours after delivery. Buyer has 48 hours after delivery to ask for fixes. Hold on funds is 10 days before you may make a withdrawal. PayPal charges approximately $1 for each transfer, regardless of its amount. gigme5 – Gigs are $5 and the seller receives 80% of Gig price 48 hours after delivery. Buyer has 48 hours after delivery to ask for fixes. Minimum balance required for withdrawal is $15 and there is a $1 fee from paypal for withdrawals. tenbux– Gigs for $5 or $10 and seller receives 80% of Gig price 48 hours after delivery. Buyer has 48 hours after delivery to ask for fixes. Minimum balance required for withdrawal is $8 and there is a $1 fee from paypal for withdrawals. zeerk – Gigs from $2 to $100. No commission charge on $2 or $5 Gigs however commissions charged range from 20% on $10 Gigs to 12% on $100 Gigs. Funds are deposited into your account 72 hours after buyer accepts delivery. You can now withdraw all your earned funds from your Zeerk account and Get Paid on the Day your offered services were approved! fittytown – All Gigs are $50 and seller receives 85% of Gig price 48 hours after buyer accepts Gig. Minimum amount to withdraw is $40 after a 10 day hold on funds. Have you used an Online Marketplace to sell a service? I'd like to hear about it, leave a comment. These places are great for outsourcing. I may use them for my services that don’t take a lot of time. Yeah, there are some pretty crazy gigs out there on all the sites I mentioned. You would be amazed at what people will pay for! There are some gigs making some serious money however, you just need to be a little creative and market your skill in such a way that people will pay for it. Just checked out fiverr, there are some wildly inventive ideas/items being offered. Very interesting stuff. I have used fiverr for a few gigs. I’ve made $4 for about 10 minutes of work. It depends what you are willing to provide for $5. I look at it as a way I can make some extra cash. I am working on putting together an ebook to offer, once it is published there is very little work involved. Hmmm, I’ll have to check these out. But 5 bucks a gig makes some of them sound like they might be not so worthwhile!